A senior commander of the self-styled Islamic State has been killed in an airstrike in eastern Afghanistan, Afghan intelligence officials said on Saturday, the fourth high-ranking member of the militant group to be killed in the area in the past week. Hafiz Saeed Orakzai was the leader of IS in the “so-called Khorasan state”, according to Afghanistan’s National Directorate of Security (NDS), referring to an old term to describe Afghanistan and Pakistan. He was killed along with 30 other militants as they gathered in Achin district of Nangarhar province late on Friday, the intelligence agency said. It did not give any further details about the air strike. Saeed, a Pakistani, was among a small but increasing number of senior Taliban militants who have switched allegiance to IS in Afghanistan. Such figures have been targets for US drone strikes, which have killed three other IS commanders in the same area in the past week, including Shahidullah Shahid and Gul Zaman. Earlier in the year, leaders of the outlawed Tehreek-e-Taliban Pakistan in Bajaur Agency had declared allegiance to the Islamic State. “Chief of Tehreek-e-Taliban Pakistan Bajaur Maulana Abu Bakar and his deputy Qari Zahid, all members of the central ‘shura’ (council), commanders, scholars and judges of the Islamic court have recognised Abu Bakr al-Baghdadi as Khalifa,” Daish spokesperson for the region Shahidullah Shahid had said then. 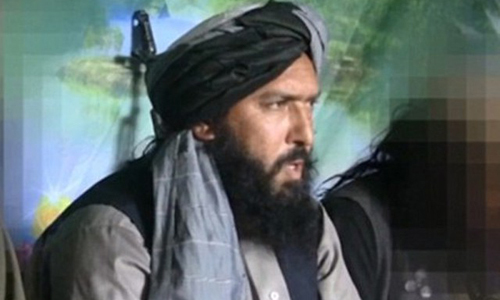 Maulana Abu Bakar, an influential Taliban leader, was appointed TTP Bajaur’s chief by Hakeemullah Mehsud, who was killed in a US drone strike in November 2013. Hafiz Saeed, former TTP chief for Orakzai Agency, was an influential in TTP ranks. The chief along with five senior leaders, including Shahidullah Shahid, joined Daish in October last year. After pushing out the Taliban insurgents, Islamic State fighters have in the past two months gained ground in several districts of Nangarhar province, which shares a long and porous border with lawless areas inside Pakistan. Achin fell to the IS militants last month after heavy clashes with the Taliban. Currently, IS poses serious threats to the Afghan Taliban, who are now engaged in talks with Afghan administration for durable peace in the region. A few months earlier, the Afghan Taliban had issued a letter to the IS chief warning them to keep away from Afghanistan. The recent development of Saeed’s death could be a serious setback for newly recruited IS militants in Afghanistan.